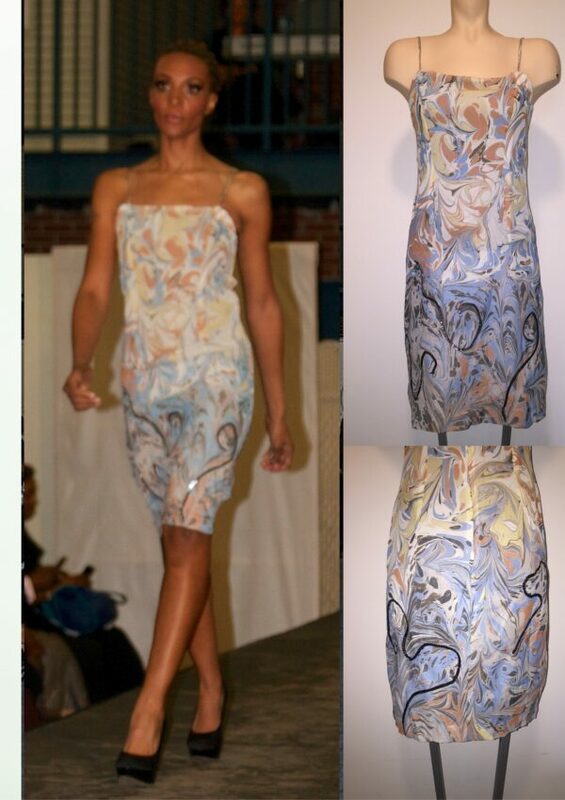 One of a kind hand marbled spaghetti strap dress. Silk chiffon fabric with sequence intricately sew into the pattern of the dress. That’s really thikinng out of the box. Thanks!